Known to some as an offshore financial haven, for pleasure seekers Cayman Islands remain one of the world's top vacation destinations, offering developed beaches and pristine reefs. 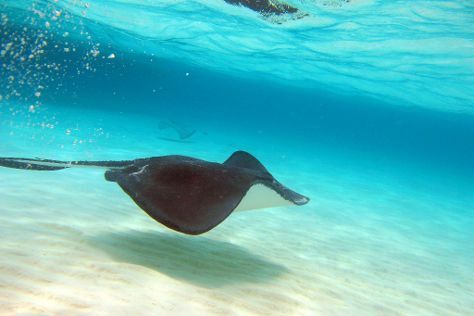 Water-based activities remain among top things to do on Cayman Islands, with dolphin spotting, swimming with stingrays, and scuba diving favored by visitors of all ages. With world-class accommodations and a low crime rate, the islands ensure an ideal setting for relaxing family vacations. A holiday on Cayman Islands also provides a good chance to explore a cosmopolitan culinary scene, with a range of restaurants serving everything from Indian to Italian specialties. Cayman Islands is in Caribbean. Add Cayman Islands and other destinations to your itinerary using our Cayman Islands trip planner, and learn about what to see, what to do, and where to stay.